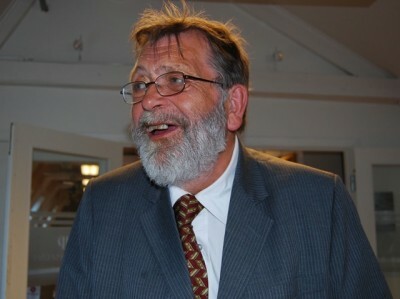 Frank Aarebrot was one of Norway’s most well-known and cherished professors. His death just before the country’s parliamentary election on Monday was setting off sorrow and a stream of tributes, since Aarebrot was one of Norway’s foremost election experts who willingly shared his insight and explained Norwegian politics also to folks far from his packed classrooms and lecture halls. Solberg’s predecessor and head of the Labour Party Jens Stoltenberg, now secretary general of NATO, was also quick Sunday morning to express his sorrow. Stoltenberg called Aarebrot an “extremely sharp” analyst, an excellent storyteller” and a “committed, lively and engaged” citizen with rare insight. “Thank you for everything you gave and were, Frank Aarebrot,” Stoltenberg wrote on Twitter. Aarebrot, who turned 70 in January, delivered his last scheduled lecture at the University of Bergen in April, after 40 years on the faculty at the university’s institute for comparitive politics. He also spread knowledge on a much broader scale, not least when he attracted hundreds of thousands of TV viewers in the winter of 2014 when he held a rapid-fire live lecture entitled “200 years in 200 minutes” on the occasion of bicentennial celebrations for Norway’s constitution. He sped through the nation’s political history in a manner that kept viewers glued to their screens, interrupted only when Aarebrot left his chair on a small stage to take occasional smoking breaks outdoors in the cold. Even during the breaks, cigarette in hand, he would answer reporters’ questions and comment on how the broadcast was going. 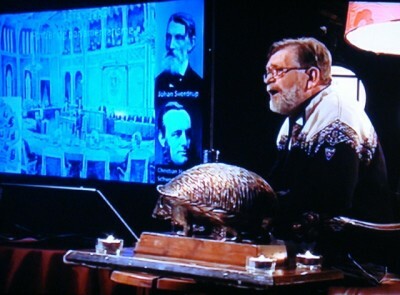 The show was so successful, with high ratings and rave reviews, that NRK aired a similar 200-minute live lecture last autumn, when Aarebrot ran through all the presidential elections in US history. NRK also aired six episodes of Aarebrot driving from Chicago to New York in the fall of 2016, and talking with Americans about the presidential campaign between Hillary Clinton and Donald Trump. He had also planned to deliver a 500-minute lecture on the 500 years since the Reformation, live from Grieghallen in Bergen. That won’t happen now, and it seems a cruel irony that Aarebrot died just before Monday’s election. He had told NRK just last week that he planned to follow it and comment on its results. “That’s my goal, and the doctors have given me hope that it can be possible,” Aarebrot told NRK last Tuesday night. Aarebrot also rebuked Norwegian media just recently for failing to report in much detail on the election to the Sami Parliament (Sametinget) in Finnmark, claiming that it was also of national interest. It’s held in connection with the Stortings election, and media outlets felt obliged to respond to Aarebrot’s criticism and promise improvements. Political parties on both ends of the spectrum called on Aarebrot for advice and sometimes invited him to their press conferences. He won a long string of awards during the course of his career, and was named Bergen’s “Citizen of the Year’ in 2014, the same year he won the country’s top award as a researcher. Funeral arrangements were pending and his wife and two children asked the public to “respect that we won’t be as accessible as he loved to be. Even though the room he leaves can’t be filled for us, it made us happy that he could do what he loved right up to the end.” Norwegians, meanwhile, must learn to live without his witty and humourous analysis of election results and his explanations in the years to come.